American serial killer Margie Velma Barfield was born on October 29, 1932, in rural South Carolina to an abusive father and a mother that did not save her from her father. Her parents named her Margie Velma Bullard at birth. She grew up in Fayetteville, North Carolina resenting her mother because she did not stop her father from hitting her. She got away from her troubled home life by marrying in 1949 to Thomas Burke. They had a happy marriage, producing two children but Velma/Margie developed back pain after having a hysterectomy, and their happiness was slowly disintegrating. Velma/Margie behavior changed, and she became addicted to drugs. Their marriage became a troubled marriage as Thomas Burke began drinking and Velma started to complain leading them to argue regularly. Velma left the house with her girls after Thomas fell asleep on April 4, 1969, and they returned home to a dead father/husband and a burnt structure. Velma"s home burnt down a few months later but she her house was insured. She married in 1970 to widower Jennings Barfield, and he died on March 22, 2971, which was within a year of being married to her from heart complications. Velma"s mother Lillian Bullard became ill in 1974 with severe diarrhea, vomiting, and nausea but she recovered within a few days and fell sick again with the same symptoms in 1974 Christmas season. Lillian died within a few hours of being admitted to the hospital on December 30, 1974. Velma began working for and taking care of elderly couple Montgomery and Dollie Edwards in 1976. Montgomery died on January 29, 1977, after getting sick and his wife Dollie died on March 1, 1977, after having the same problems as Velma"s mother, Lillian Bullard. Velma began working for 76-year-old Record Lee as a caretaker in 1977 because she broke her leg. Record"s husband, John Henry died not too long after he became ill with severe stomach and chest pain, vomiting, and diarrhea on June 4, 1977. Velma"s boyfriend, Rowland Stuart Taylor and one of deceased Dollie Edwards family member were her next victims. Velma was scared that Rowand found out that she was forging checks on his account, so she mixed a rat poison containing arsenic in his beer and tea. Velma tried to nurse Rowland back to health but he died on February 3, 1978, and his autopsy an autopsy found arsenic in Rowland"s system. Velma"s deceased husband, Jennings Barfield"s body was exhumed after Velma Barfield was arrested and examination of his body showed traces of arsenic. Velma confessed to murdering Lillian Bullard, Dollie Edwards, and John Henry Lee but denied killing Jennings Barfield and was convicted of murdering Rowland Taylor. Velma was placed in the Central Prison area which is dedicated to mentally ill prisoners, inmates who are prone to escape and mentally-ill prisoners prone to assault. There was no special area for females on death row at that time because she was the state"s only female serving a death sentence. North Carolina made a death row unit at the North Carolina Correctional Institution for Women sometime later. She became a born-again Christian while being on death row. Billy Graham praised Velma for ministering other prisoners during her last few years in prison. Velma"s substantial involvement in Christian ministry caused a motion to change her death sentence to life imprisonment, but it was declined. Velma committed her killing spree from 1971 to June 4, 1978. Professor of Psychiatry, Dorothy Otnow Lewis at New York University School of Medicine testified said that Velma suffered from multiple personality disorder. Dorothy claims that she had spoken to Velma"s other personality name Billy and Billy told her that Velma was sexually abused and he (Billy) killed her abusers. Velma Barfield"s appeal was declined in federal court, so she told her attorney not to make any more appeals to the Supreme Court. Velma Barfield was executed and died at the age of 52 on November 2, 1984, at the Central Prison in Raleigh, North Carolina by lethal injection and was buried near her first husband, Thomas Burke in a small, rural cemetery. Velma said: "I know that everybody has gone through a lot of pain, all the families connected, and I am sorry, and I want to thank everybody who has been supporting me all these six years" before her execution. She requested her last meal to be Cheez Doodles and a 12-ounce Coca-Cola. 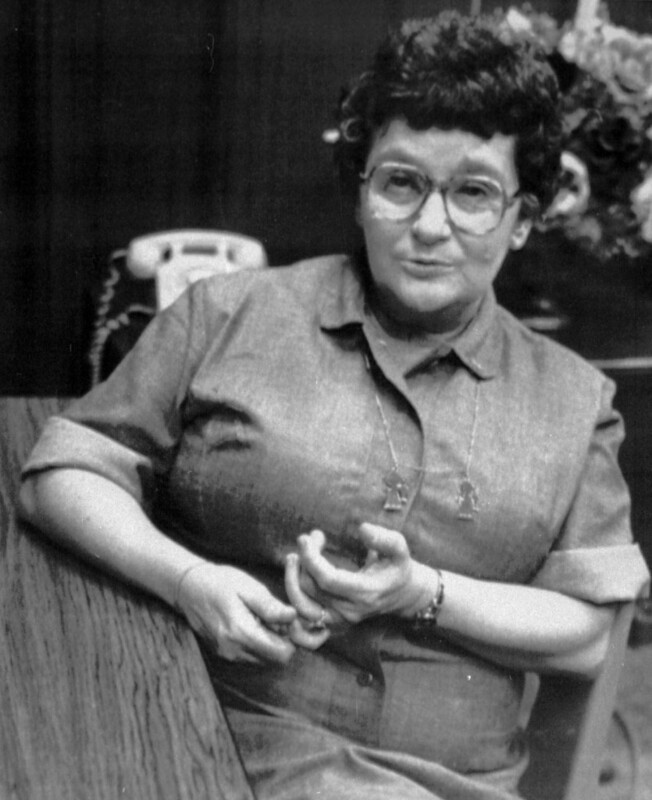 Velma was the first female to be executed in the United States after the 1976 resumption of capital punishment, the first person to be killed since 1962 and was the first woman executed by lethal injection. Jennings Barfield and his first wife"s grandson are singer and songwriter Jonathan Byrd. Jonathan wrote a song titled, "Velma" which is in his Wildflowers album. The song is about Velma"s murders and investigation. Barfield, Velma. Woman on Death Row. Thomas Nelson Inc. (May 1985). ISBN 0-8407-9531-9. Death Sentence: The True Story of Velma Barfield"s Life, Crimes, and Execution. Dutton Adult (October 1, 1998). ISBN 0-525-94255-6. Velma Barfield serial killer is a male serial killer. Death Row Granny, Mama Margie is a male serial killer.